Manila, Philippines - Shanne Dandan performed Up Dharma Down hit song "Tadhana" during the blind auditions of ABS-CBN's top-rating singing reality show aired on Sunday, June 15, 2014. 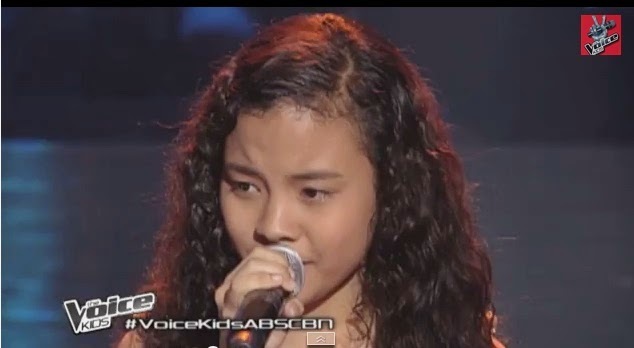 The 13-year old kid from Quezon City wowed coach Bamboo and Leah who immediately turned their red chair. Shanne picked Team Lea. The Sunday's episode of 'The Voice Kids' dominates online conversations with '#VoiceKidsABSCBN', 'Shello" and 'Just Give Me A Reason' among the trending topics.